Rumor has it that this time of year is all about being out with the old and in with the new. Speaking of new, why not take this Spring to new heights and make the purchase of your dream home here at ONE Mission Bay? There has never been a better time to call ONE Mission Bay home than right now with the sun shining and our courtyard flourishing. With less than 20 homes remaining, the opportunity to claim one of these desirable residences is quickly slipping away. 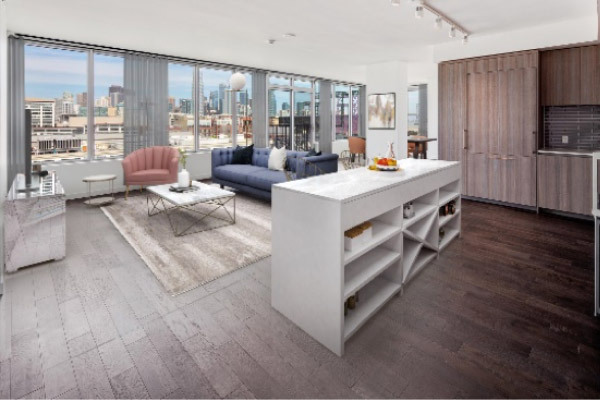 If you are in search of a luxury home with stunning views, resort-style amenities, and in the heart of the ever-growing Mission Bay community, then there is a home for you at ONE Mission Bay. 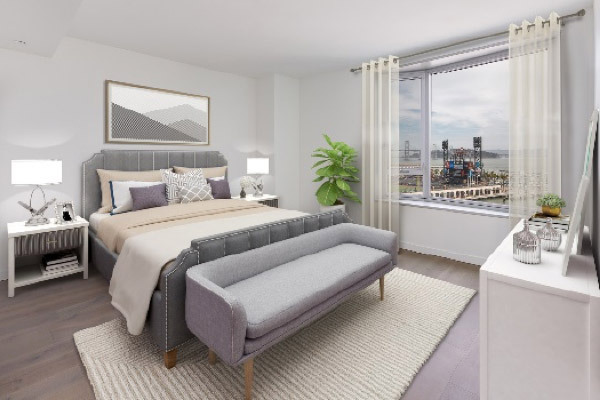 Now offering a limited amount of two and three-bedroom floorplans with immediate closings, there is something unique and special to be found within each remaining residence. A desirable floorplan which flaunts views of the interior courtyard and pool deck, is Tower 912. This 2-bedroom 2-bathroom home creates for the ideal space to host dinner parties and gathering with its large open kitchen and living area. This spring there truly is no better location to watch the courtyard bloom than from high up in Tower 912. 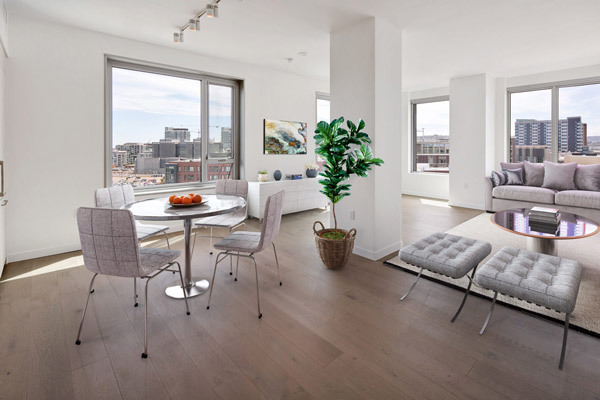 For the ultimate view of the Downtown San Francisco city sky line, look no further than Tower 1202. This 3-bedroom 2.5-bathroom residence provides a layout that is open yet private with the dining room tucked away in its own space. This home is sure to bring in an amazing sight day or night, with even corner views of Oracle Park and the Bay Bridge. A grand residence that radiates elegance and class is Tower 1301. Being from the largest of floorplans offered, this makes for a very spacious and expansive 3-bedroom 2.5-bathroom home. The options are endless in this residence as you can lounge, entertain or even feel the excitement of a game happening at Oracle Park with the direct views offered by this home. With Spring just beginning, now is the time to see for yourself why so many other have chosen to call ONE Mission Bay home. ONE Mission Bay’s waterfront location across the channel from Oracle Park makes for a home unlike any other. This premium setting allows for residences to be walking distance to many of San Francisco’s most well-known destinations such as the UCSF Medical Center, the upcoming Chase Center soon-to-home of the Golden State Warriors, the Caltrain which acts as a major hub for transportation, and Oracle park home of the San Francisco Giants. Aside from major city focal points, there is a walkable array of restaurants ranging from fine dining to cafes, markets, parks, fitness and recreation centers and much more. If you decide to hang out at home, there is also much to do thanks to a collection of amenities. The Club Room Lounge, Game Room, fully-equipped gym, heated pool and spa, sauna and Library Room are all easily accessible and ready to be enjoyed. If you’re ready to give a new meaning to Spring Cleaning, call our sales office today at (415) 820‑1000.